A must have Christmas essential for any cake decorator. 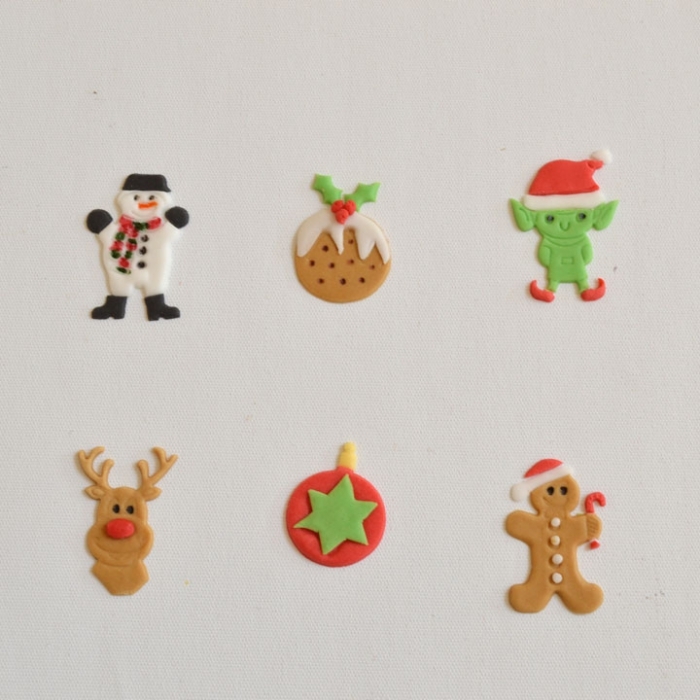 This set includes 12 festive motifs from a cute penguin, polar bear, cheeky Rudolph all the way through to traditional favourites like a snowflake and gingerbread man. Perfect for decorating cakes, cupcakes and other festive bakes. Sizes 30mm-40mm. 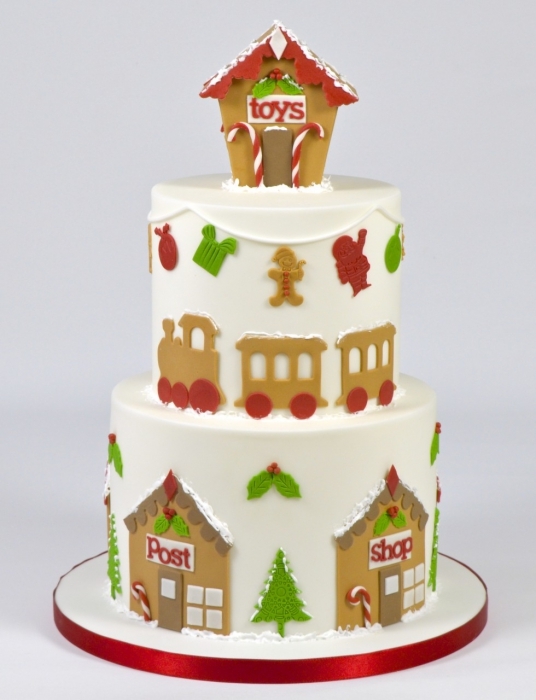 The Cool Christmas tappits are used on the top tier of the cake shown.